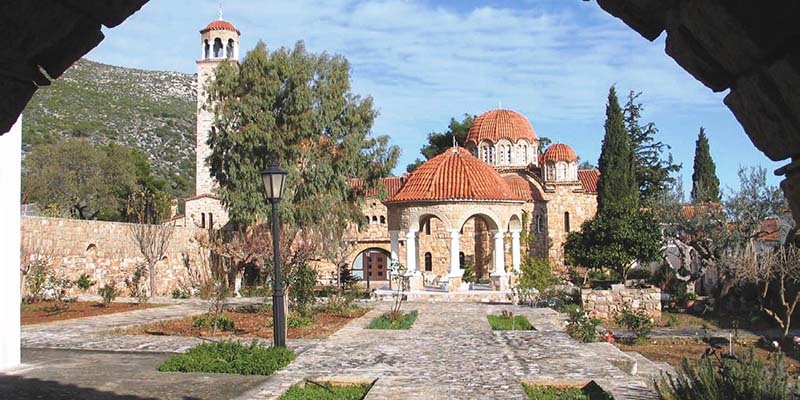 Saint Ephrem Monastery is one of the oldest monasteries in 1 hour away from Athens in Nea Makri. Many monks and priests stayed there and prayed to God. During the Ottoman occupation big and brutal massacres took place which wiped out the monastery. In 1945 AD nun Makaria went to the ruins of the ancient monastery. By divine impulse, she formed a cell there and began to clear the ruins of the old church in order to remake it. So, on January3, 1950 AD she commissioned a laborer digging the particular place that her soul indicated. The point had a castled fireplace and things suggesting that there was once a monk’s cell. First finding was a head and the area was rising a fragrance. The same night the Saint appeared in her sleep, thanked her and revealed his name: Ephraim. The relic of St.Ephrem kept there ever since and every day hundreds of believers visit it and ask from Saint his blessing. Saint, by the grace of God, has done thousands of miracles. In the yard of monastery there is a mulberry tree on which St.Ephrem left his last breath. 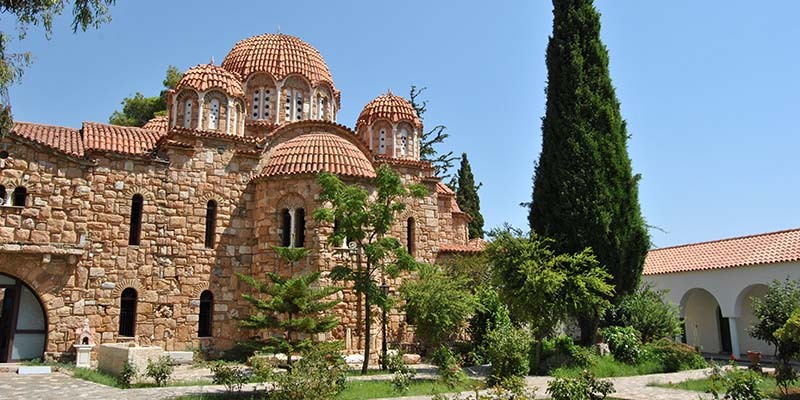 Saint Ephrem was born in Trikala. At age of 14, he entered the monastery of the Annunciation of the Blessed Virgin of Attica. In 1424 Ad Turks invaded violently to the Monastery and slaughtered all the Fathers of the Abbey. That moment Saint was in a cave on the mountain for prayer and when returned awestruck saw the corpses of the Fathers. After, he buried the bodies and mourned them. The following year barbarians returned and found Saint. The arrested him and began the tortures, which ended on 5th of May in 1426 AD on Tuesday at 9am. They hung upside down in a tree, which survives even, nailed in legs and head and finally his wounded body stabbed by a burning wood delivering his holy soul. It spent half millennium to reveal everything we know today, confirmed the finding of the Holy Relic in 1950 AD.